Whilst these ‘dominance theory’ techniques might appear to work, they will only produce short term results and quite often create more behavioural issues than they solve. Additionally, they rarely, if ever, take the dog’s emotions or physical wellbeing into consideration. Before I talk about why Positive Reinforcement training is the way forward, I’ll explain a little about aversive or punishment training. Using punishment techniques to train your dog will increase their stress levels and this is not conducive to your dog learning that they have done something wrong – they will just react in a certain way and this could even lead to biting. Dishing out punishment to your dog is also going to increase your stress levels and this will intensify if the punishment does not correct the problem straight away. Increasing your stress levels and that of your dog is unlikely to help build a close bond between you! Punishing a dog as a method of learning is not only ineffective but also serves to create distance in the relationship you have with your dog. As I have already mentioned, these aversive methods will also only produce short term results and quite often create more behavioural issues than they solve. Additionally, they rarely, if ever, take the dog’s emotions or physical wellbeing into consideration. For more information on the implications of using training techniques which induce fear or pain in dogs, click here. 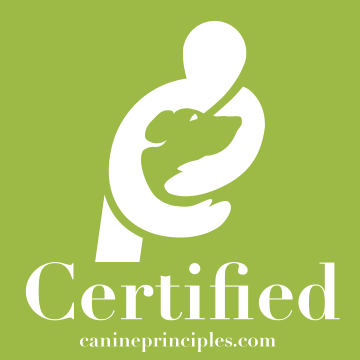 Happily, I am pleased to say that you can train your dog without aversives and as a modern dog trainer who is a proud member of the Pet Professional Guild (The Association for Force-Free Pet Professionals), I teach puppies and dogs using positive reinforcement. NO pain, NO force and NO fear at HAPPY BUDDIES! Positive dog training is all about providing a reward to your dog when they do something that pleases you and ignoring anything that they do which doesn’t please you. The rewards can include praise, providing treats and playing games with them. Positive reinforcement (sometimes called reward-based training) is therefore the addition of a pleasurable consequence to a desired behaviour. It does not involve physical punishment, aversive techniques or asserting dominance. It is a very effective way of training puppies and dogs and addressing the ‘unwanted’ behaviours as only the ‘good’ behaviours are rewarded and the ‘unwanted’ behaviours are ignored. You go to work and you get paid for what you do, if you do a good job, you receive praise for it and maybe even a pay rise. If you don’t get paid or you don’t receive praise for a job well done, you feel unmotivated and disinterested. Well, dogs don’t care about money, they care about praise ... and food! If your dog does a good job by showing you a behaviour you want, reward him and he’s more likely to repeat the behaviour ... and enjoy the learning process at the same time, making him eager to come back for more! There really are many advantages of using positive reinforcement to train your dog. Here are just a few! Communicating clearly is essential and you’ll help your dog understand that they are doing the right thing as they are getting a reward for it. You will create a strong bond between you both as your relationship will be built on trust and kindness. If you punish your dog, there is only negativity in the relationship but through rewarding good behaviour, your dog will enjoy your company and be much, much happier! If your dog is aggressive or fearful in certain situations, then punishment techniques will only make the matter worse. These problems (and others) have a much greater chance of being corrected with positive reinforcement methods. 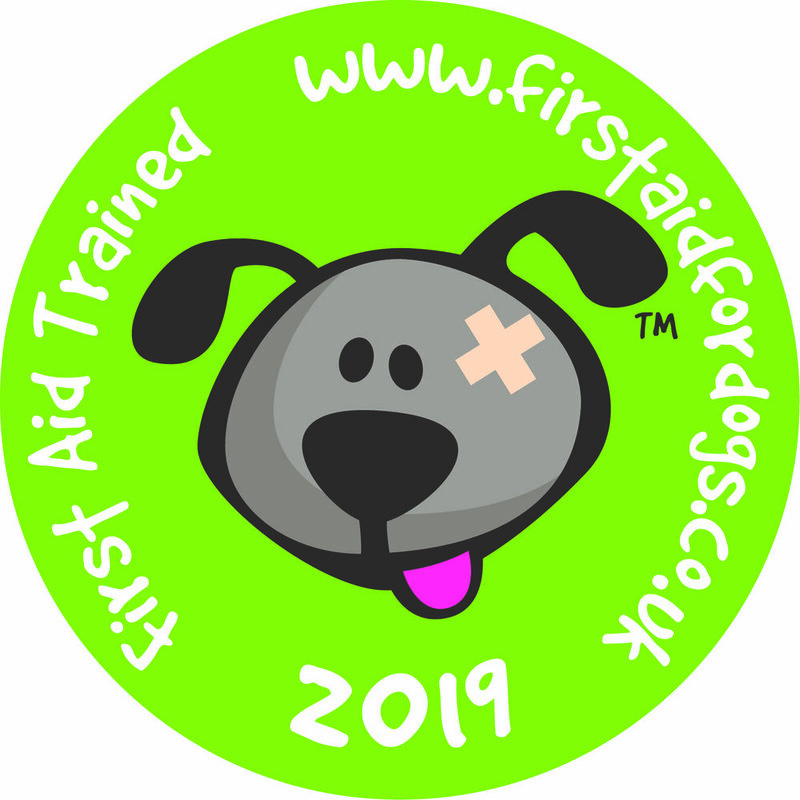 Positive dog training is fairly easy and this means that even children can be involved by providing treats when the dog is producing the right behaviours – to make sure the timing is right and it is done correctly, though, it should be supervised by an adult first! If your dog is bored and has a lot of energy to use up, then they may start chewing the furniture or digging up your garden! Positive training can help them release energy and channel it in the right way through learning good behaviours! As there are no harsh techniques used in positive reinforcement training, it is fun for everyone involved both humans and canines! Your dog will look forward to their next training session as they know that rewards will follow and they’ll be keen to learn new things and please you! It is essential to give the reward at the right time! The reward must occur as soon as your dog shows you the desired behaviour. If you don’t reward immediately, your dog may not associate the reward with the proper action. For example, if you ask your dog to sit but reward him after he stands back up, he’ll think he is being rewarded for standing up. Make sure that if there is more than one person involved in your puppy or dogs training, that you all use the same verbal cues otherwise your dog may become confused. It can sometimes help families to write up a list of their verbal cues so that everyone can become familiar with them. Being consistent also means rewarding the desired behaviour and never rewarding undesired behaviour, so make sure everyone is doing it right and giving the reward at the correct time and remembering not to reward unwanted behaviour. 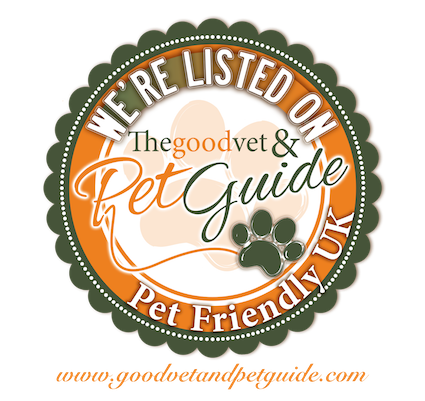 Good: for reinforcing good behaviour such as asking your dog to sit before you let him out of the door (prevents running out), before petting him (stops him jumping up), before feeding him (teaches him good meal manners). Wrong: when you inadvertently use positive reinforcement to reward unwanted behaviour such as when you let your dog outside every time he barks at a noise – you are giving him a reward (access to the garden) for barking – a behaviour you are probably wanting to discourage! Shaping: sometimes it can take a little while for your dog to learn a certain behaviour. To help them, you can reward your dog for doing something close to the desired behaviour and then gradually require more from your dog before rewarding. For example, you might want to teach your dog to ‘shake hands’. You may initially reward him for lifting his paw off the ground, then for lifting it higher, then for touching your hand, then for letting you hold his paw etc. Initially, when your dog is learning a new behaviour, reward him every time he does it. This is continuous reinforcement. Then, once your pet has reliably learnt the behaviour, introduce variable reinforcement which is when you reward the dog intermittently or with something else for the desired behaviour. This way the dog has no idea when he is going to get a reward, whether it’s a big one or whether it’s a different type of reward. This peaks his interest and creates motivation to put in that extra effort. Variable reinforcement should only be introduced though when your dog is consistently providing the correct behaviour during continuous reinforcement. Positive reinforcement means that you are not forever bound to carry a pocketful of goodies. Your dog will soon be working for your verbal praise, because he wants to please you and knows that on occasions, he’ll still get a treat too! 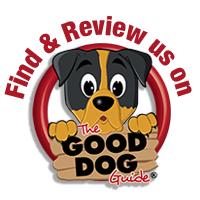 Positive reinforcement can including rewarding your dog with food treats, praise, cuddles or a favourite toy or game. Most dogs are highly food-motivated so food treats work very well for training! Rewards of whatever kind, need to be enjoyable, enticing and irresistible to your dog – you’ll need to experiment to see what your own dog responds best to. What training can you do through positive reinforcement? The list goes on ... so what are you waiting for? Go and have some fun training your dog and building a greater bond with him!